High resistance polyester coat lined with a thick fleece. Wearable for calves from birth to three or four weeks of age. The coat keep the young calf warm and provides thermal regulation. 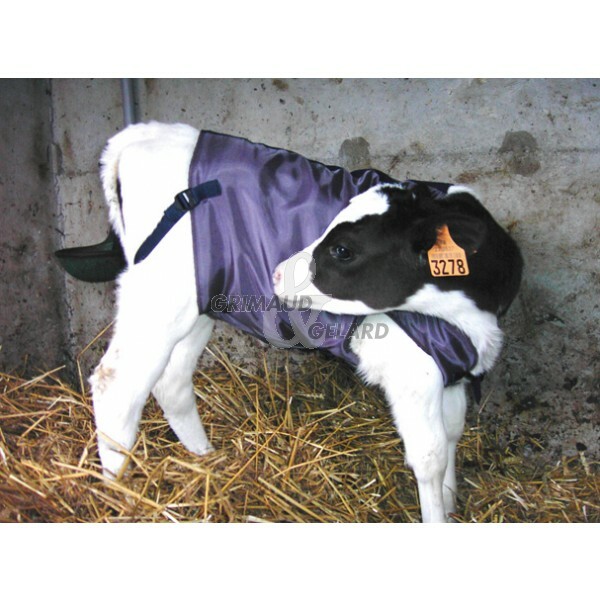 Perfect for premature calves or ill one, suffering from bronchitis or diarrhoea for exemple or for in good health calves which will grow up 15% faster with this coat. Fully adjustable, this coat can be easily put on the animal by a single person. Machine washable at 30°C to keep an essential hygiene. Recommended for premature or dairy calves. Top-end coat made in our workshops.